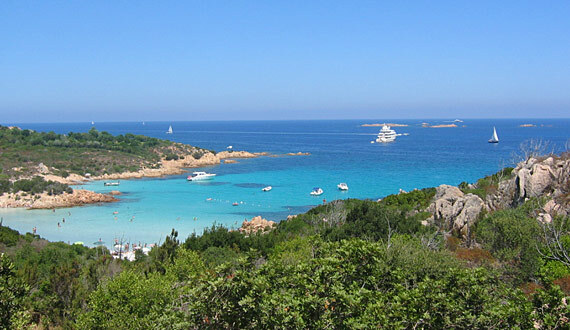 City breaks Sardinia: Smeralda Coast. How should we present the beginning of Summer 2010, Costa Smeralda, that small point of Gallura to a very high concentration of noted times, for almost half a century, monopolised by the attention of fashion victims of the Italian August? Along this stretch of coast that goes from Liscia di Vacca to Porto Rotondo continues the torrent of mega yachts, glamorous parties, jeeps and TV stars! You can also experience tourists on foot, with the wanting to encounter celebrities. If you have booked at the infamous Cala di Volpe hotel, a VIP refuge for excellence, not forbidden is to consider is a fanciful light lunch at Porto Cervo, sunbathe on the small beach Lu portu of Li Coggi di Romazzino, and sip an aperitif at a bar in the square of Porto Cervo.